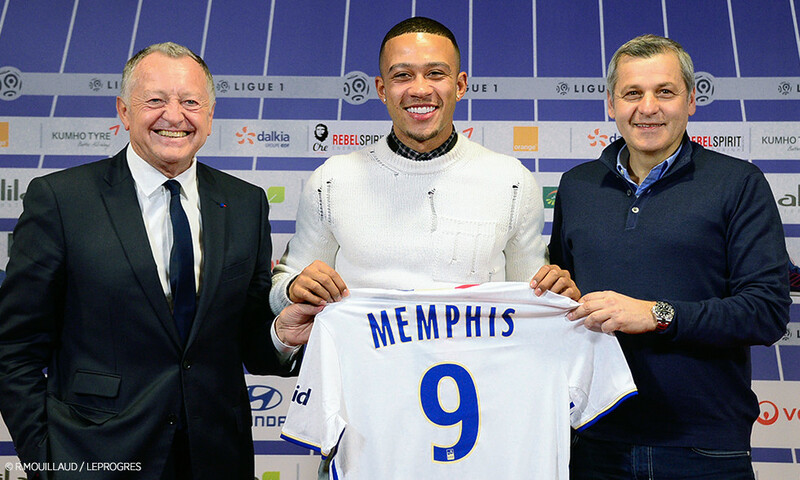 MEMPHIS DEPAY: "I FELT THAT I HAD TO COME TO OLYMPIQUE LYONNAIS"
With Jean-Michel Aulas and Bruno Genesio at his side, Olympique Lyonnais' new recruit, Memphis Depay, was officially presented to the press on Friday afternoon at the Groupama OL Training Centre. "I feel very pleased to sign for Olympique Lyonnais. I want to thank everyone for giving me the chance to sign here. There were several interested clubs. My agent told me that he had a good feeling about OL. I believed him and that's why I wanted to sign here. The coach, the president... everyone wanted me to come here, so I feel confident. I felt that I had to come here, there's a common interest. Lyon's a great club with a great history and those are factors that made me decide to come here. I know that Lyon have previously been champions seven years in a row and that the club has often played in the Champions League. OL is a great club, I follow all the leagues and I know this team. The deal has taken a long time to go through and it's normal that there is pressure. But I came here to get my confidence back. I'm young and I wanted to come into this great side. At the moment, I feel good. I know that the next match is important and I hope I can take part in it. I need a bit of practice to get my full fitness back; I'm ready and I will train. My arrival here is not about getting revenge for what happened in Manchester. I want to show what I'm capable of. At United I trained and developed alongside some great players. I learned a lot from them. I want to score goals and enjoy playing football in this Parc OL that is truly magnificent. I'm excited at the idea of playing in this beautiful stadium. It's a welcome challenge for me. I'll play where the coach wants me to. My best position is on the left, but I can play in several positions." "This is a great day. 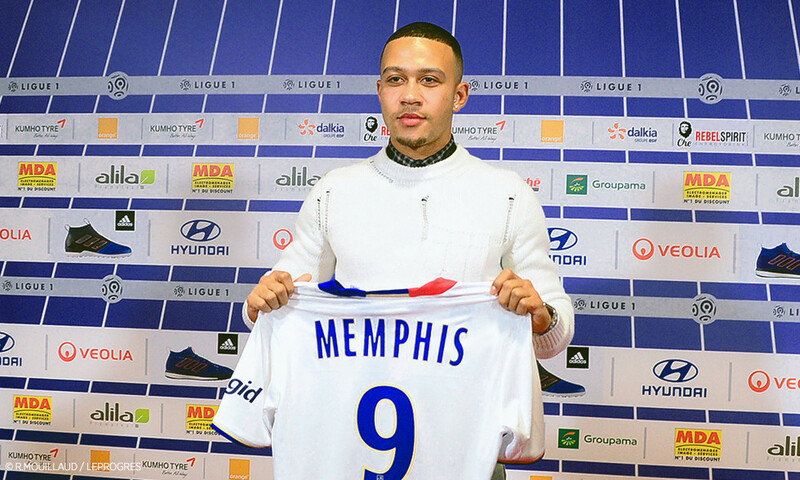 Memphis has come to sign a four-a-half-year contract with the club. This was the priority. He's a great player, a Holland international. He fits the profile the club were looking for. We have a lot of belief in him and his ability. This transfer demonstrates OL's ambition to grow. The deal was complicated, but we're happy. It's a straight transfer of €16M, and with incentives included it goes up another €6M. He has a unique history that will now include Lyon. OL is moving into a new era of satisfying our fans with pleasure and enjoyment. We try to stay at the highest level with the Academy, the training centre and the Parc OL. We will do our best to make the most of our infrastructure by trying to keep our best players that we've developed and by taking young high-end players who are capable of flourishing at Olympique Lyonnais with the objective of winning the Champions League." "Our desire to reinforce our attacking options has grown. Florian Maurice and I have considered the signing of Memphis and have made it our priority. He's a world-class player who has shown all of his qualities and all of his potential. We will try to settle him into the side as quickly as possible. We knew the player, but the relationship we had with him, the impression that we immediately had, encouraged us to put our faith in him. Our first meeting we had with him was good and I'm pleased to have him among us."